Keep Your Edge With K2 Technology Conferences! 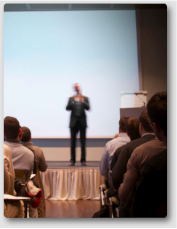 In conjunction with over twenty state CPA organizations, K2 Enterprises develops and delivers two-day technology conferences across the United States. For approximately three decades, these conferences have provided participants with a premier choice for staying on top of the ever-changing world of technology as it relates to accounting, financial, and other business professionals. To ensure the relevancy of content, each year the topics for these conferences are selected from a survey of over 80,000 CPAs across the nation. The feedback gathered from these CPAs through survey is, in turn, used to identify the sessions presented during these conferences. This process helps to ensure that the topics presented are relevant and timely, and that participants’ educational needs are met. We invite and encourage you to join us at one of this year’s events! What Kind of Content Can You Expect to See at a K2 Technology Conference? One of the top concerns every year is that of Data Security and Privacy. In this year's conference, you will have the opportunity to participate in up to three sessions to help you learn how you can manage today's security and privacy risks. We use tools such as Microsoft Office and Google's G Suite everyday, yet most of us have never received any formal training on how to take full advantage of the features that are afforded to us with these tools. This year's Technology Conference features eight sessions on desktop productivity tools, including three on Excel! Blockchain, Cryptocurrency, Process Automation, Artificial Intelligence, and other emerging technologies will all be covered in this year's conference. Notably, a special emphasis on the practical application of these technologies will be provided. An annual staple in the Technology Conference, by participating in "CPA Firm Technologies: Helping Your Practice Grow," you will learn about the technologies you should implement to create efficiencies in your public accounting practice in order to facilitate growth. This is a "must-see" session for CPAs in public practice environments. For those who are considering transitioning to a new accounting software application or service, two sessions in the conference are devoted toward helping you make the right purchasing decision. Additionally, a session on Microsoft's Power BI tool will show you the way to better reporting. Finally, in the aftermath of the Supreme Court's Wayfair decision, we have a session focusing on sales tax compliance and the best ways of getting that job done. In addition to the topics previously mentioned, other sessions in this year's conference will provide you with valuable information related to Microsoft Teams, personal technologies, and tools to support remote/virtual team members. Click on the link above to see a full schedule of this year's conferences, including detailed agendas and registration information.